is a Systems Integrator in the barcode verification, data collection and inventory management industry with a diverse suite of products including RFID, RF Terminals, Printers, Rack Labels, OSHA Signs and Repair Services on your Auto ID Equipment. With BaxTek being a complete Systems Integrator you gain peace of mind knowing that you are working with a single vendor with the proven track record of recommending, designing, & implementing systems for your critical data capture requirements. BaxTek represents all the major Auto ID hardware manufactures and various software packages including asset tracking and custom projects. Making us specialist in data collection, custom software applications, bar code equipment, 2d barcode verification, supply chain management, support and barcode scanner repairs. Sky-Trax Indoor Positioning System - The Sky-Trax System is designed to track the movement of vehicles, such as fork lifts, inside factories and warehouses. Skytrax automatically determines vehicle position with great accuracy and provides real-time position data to the driver. SkyeTek Solutions System - The SkyTek solutions system enables an efficient system of inventory and asset tracking, product authentication, and patron management. Within these categories, SkyeTek's reader products and technology offer an almost limitless potential for use cases. To meet growing compliance pressures & customer demand, BaxTek Solutions has constructed a TOTAL SOLUTION PACKAGE enabling food producers, processors and retailers to bring their current traceability efforts to the next level while simultaneously making a profit center out of what was once a cost center. SkyeTek's RFID solutions for applications are primarily designed for keeping track of inventory/assets, authenticating products/disposables, and managing patrons. Within these departments, SkyeTek's reader products offer immense capabilities for use cases, including some of which appeared inconceivable, only a few years ago. With the InveTrak line of software, you are sure to find a solution that will fit your company! From Small Business Inventory Management to Enterprise Resource Planning, Invetrak is the most efficient and scalable software solution on the market. Brand Promotion, Value Chain Intelligence, Cold Chain Intelligence, and Compliance. Alien Technology is a leader in the RFID industry, that manufactures top of the line RFID tags and RFID readers. The Squiggle high performance RFID tag is setting a new standard for sensitivity and read performance for Gen 2 tags. 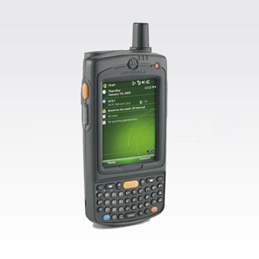 The Alien RFID readers offer superior -range and software interfaces. Since RFID is not a one-size-fits-all solution, there are many different RFID applications. Alien Technology combines vision, a flexible set of products, and adherence to interoperability and regulatory standards to address the manifold needs of today's RFID customers. Made from the toughest materials – polyester, anodized aluminum, stainless steel, polycarbonate, ceramic and more – Metalcraft tags and labels withstand environments ranging from mild to extreme, resisting abrasion, caustics/acids, solvents, salt air, high temperatures, and UV rays. RedBeam makes tracking your inventory simple. Barcode, scan and track! Whether you are looking to track fixed assets, consumable inventories or checking products In and Out, we have the product for you. 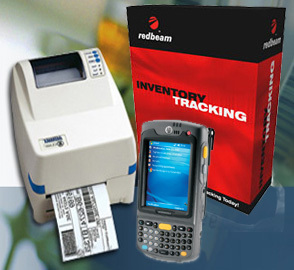 RedBeam has integrated bar code scanning and bar code label printing into a item database software. 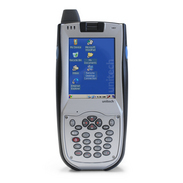 Our ready-to-use kits include software, labels and a barcode scanner. Includes everything you need to get started today! The LVS INTEGRA 9500 bar code quality station is an all in one bar code verifier with analytical software that is extremely easy to operate. Just place the label on the viewing platform and it is graded. There is no symbology or aperture to choose as the INTEGRA 9500 auto discriminates the bar code type and correct aperture to use. 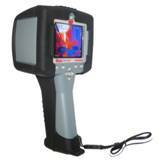 The easy to read results are boldly displayed on the built in LCD display. No matter what your workers need to get the job done, Motorola's MC75 Worldwide Enterprise Digital Assistant delivers by combining an unparalleled number of business capabilities into an easy-to-carry rugged device. 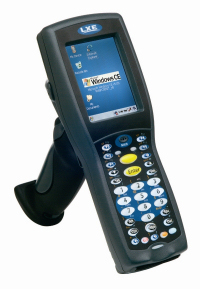 LXE Inc. introduces the 8650 Bluetooth Ring Scanner for mobile workers in a multitude of supply-chain environments. The small, lightweight 8650 ring scanner rests on the finger, with the module worn comfortably on the back of the hand or the wrist. The module pairs with any Bluetooth-enabled handheld, wearable, fixed-station or vehicle-mount computer and transmits data from up to 30 feet away. Joint trade fair appearance with Austrian distribution partner Bluetech Systems and labelling systems provider Schwinn & Partner (Stand C07 / Hall D). Datamax-O'Neil, a global provider of label and receipt printing solutions, will show its comprehensive product range at LOGISTIK Austria 2011 in Vienna (21 �“ 22 September). At the trade fair for logistics solutions, Datamax-O'Neil will share a stand with its Austrian partner Bluetech Systems Barcodesysteme, which specialises in distribution and customer services for barcode scanners, label printers and mobile data collection. Also to be present at the booth is the systems provider for labelling equipment Schwinn & Partner, which develops and manufactures dispenser and labelling systems as well as solutions for automation in the fields of identification and logistics. Datamax-O'Neil, exhibiting at Stand C07 in Hall D at Messe Wien, will showcase its latest printer solutions such as the E-Class Mark III desktop barcode printer, the RL4 portable 4-inch label printer, the robust printers of the MP Compact4 series and accessories such as IQWax, IQMid and IQRes thermal transfer ribbons. In addition, the company will inform visitors about the extended warranty and service provisions covering its entire portfolio of printers. Moreover, a Schwinn & Partner system for labelling pallets will be demonstrated at the trade fair. The system contains an integrated Datamax-O'Neil print module for marking items with latest data. "In order to remain competitive today, it is vitally important that providers of transportation and logistics services are able to respond quickly and achieve high levels of productivity in warehouses, while goods are in transit and on customers' premises," explained Christian Bischoff, Regional General Manager EMEA at Datamax-O'Neil. "With our latest printer solutions and accessories, we can show trade visitors from this sector exactly how they can make their processes more efficient and more reliable and therefore respond to the changing requirements of their customers." Printers and accessories for transport & logistics: Among other products on show at LOGISTIK Austria, Datamax-O'Neil will be presenting the extremely rugged RL4 4-inch label printer. The compact design of the RL4 means it can be worn on a belt or mounted in vehicles and is therefore ideal for use in mobile applications in warehouses and transportation. The E-Class Mark III desktop barcode printer also contributes to simplifying logistics processes. With its high print quality and speed, the printer supports employees in a wide range of transport and logistics tasks. MP Compact4 series printers have a solid metal casing and are a practical solution for dispatch and warehousing applications as the printers can easily be installed on forklifts and picking vehicles. IQWax, IQMid and IQRes thermal transfer ribbons offer high quality printing even under difficult conditions and are compatible with all stationary printers from Datamax-O'Neil. The thermal transfer ribbons make it possible to print sharp images and are an innovative addition to the comprehensive range of accessories. With high temperature resistance, they are suitable for applications in transport and logistics. About Datamax-O'Neil Datamax-O'Neil is a trusted global provider of stationary, portable and mobile label and receipt printing solution products that enable manufacturing and supply markets to capture the benefits of automated product identification and automated legal and financial transactions. Datamax-O'Neil is the barcode and mobile printing business group of Dover Corporation's Product Identification Group (PIDG), a global platform entity with products and services covering all the leading marking technologies and applications. The company's products address a wide variety of applications, including those in the industrial, healthcare, retail, automotive and ticketing market sectors. Datamax-O'Neil is headquartered in Orlando, Florida, and maintains key facilities in California, Illinois, and France, as well as sales and technical support offices around the world. QID Solutions Ltd., a Hungarian provider of RFID hard tags and services, introduced a reusable smartPIN RFID EAS (electronic article surveillance) hard tag for fashion retailers at RFID Journal LIVE! 2011 this April in Orlando, Fla.
QID smartPIN is a revolutionary RFID add-on solution for apparel retailers. 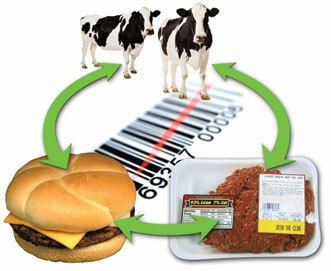 Significantly, it brings the benefits of RFID to any of the existing major EAS hard tags. The patent-pending QID smartPIN hard tag is EPC Gen 2-compliant with high RF performance. SmartPIN works with a variety of existing EAS technologies and main EAS locks via a standard pin, and also works independently as an RFID EAS tag. The tag solution utilizes the UPM Combo inlay equipped with NXP’s UCODE chip. The systems integrator of the first sizeable implementation is Technowave Group, a supplier of autoID systems in the Middle East, pioneering in implementing UHF RFID based solutions to top brand retail companies in the Arabic Gulf Countries and India. Retailers now have access to the combined advantages of RFID and conventional EAS tags, without having to modify their existing EAS installation. The product is ideal for multi-brand shops, in-shop inventory use or for the whole supply chain from the distribution centre to the point-of-sale. The smartPIN RFID tag can easily be added to existing EAS tag systems �“ as easily as an existing EAS system can be extended with smartPIN RFID. QID Solutions Ltd. won the Nokia Innovation Prize at the GINNT Expo in Budapest in September 2010. The company was acknowledged for its smartPIN solution together with local software development partner Smart Id Technologies, delivering the capacity to elevate the shopping experience and increase the efficiency of sales and logistics processes. Furthermore, article surveillance will be more intelligent while supporting business especially in the apparel and fashion retail industry. 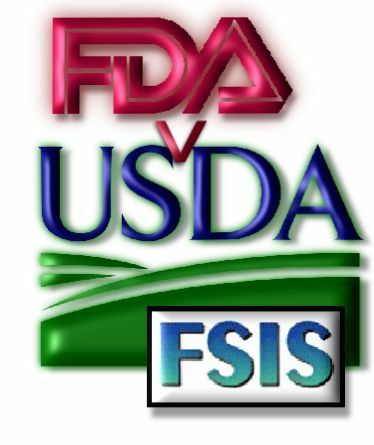 “Adding a smartPIN RFID tag to an EAS installation requires no changes to the EAS system. There’s also no degradation in EAS tag performance. Several retailers have been appraising the product and we’ve started volume supplies this year to big brand names,” says�Péter Perecz, sales manager, QID Solutions Ltd.
“QID’s smartPIN is truly a revolutionary product in its compliancy with the existing EAS market. Retailers can achieve the benefits of RFID simply by adding smartPINs in place of dummy pins. Shop inventory using RFID readers and smartPINs attached to apparel, for instance, is much faster than traditional barcode-based inventory. Moreover, you don’t lose the code from the item that easily,” says�Mikko Nikkanen, business development director, UPM RFID.